At Wheel City Motors, locally owned and operated in Asheville, you will find an incredible selection of premium used cars, trucks, and SUVs. We specialize in late model brands like Toyota, GMC, Chevrolet, Ford, Honda as well as custom trucks, custom cars and custom SUVs. We appreciate our customer's time and know you do your homework. We are committed to staying on top of market trends and competitive with our prices so you get a low-pressure, comfortable buying process. Our relationships with top lenders give our customers a choice in the buying process. You can apply for financing in person or online quickly. The Wholesale team at Wheel City Motors has decades of experience in the automotive industry and relationships around the country. Our reputation to maintain high-quality inventory as well as rare or specialized vehicles ensures other dealers and private sellers contact Wheel City first to sell or trade. Our inventory changes daily. If you don't see the vehicle you are looking for online, CALL US! We may have the perfect ride for you on the way to the dealership at any time. Got a trade? 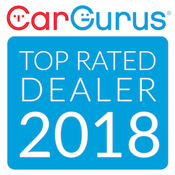 We may be in the market for your car, regardless of whether you buy from us. Simply stop by the dealership and we can appraise your vehicle the same day.